I just saw CATS at San Diego Musical Theatre last week and I very much enjoyed it. See here for the review that wrote on that. While sitting in the audience I contemplated the accuracy of the cats that I saw prancing stage compared to how cats are in reality. Who says theatre doesn’t make you think? I have a cat, well to be more accurate, she is a kitten. My husband and I call her “Kit-han” and drag out the ending to sound a a lot more like “Khaaaaannn” when she is doing something annoying (because we are nerds. Did that need to be mentioned?). Having owned two other cats previously, I know a little bit about cats. So I feel like I can categorically say that there are some things that the musical CATS gets absolutely right about our feline friends. There’s nothing creepy about this picture, right? 1) Cats can be creepy – in the show they move in unison, they talk and sing in unison, and they like to do what they feel like when they feel like it. Even if that means that they are being obnoxious in the middle of the night. Case in point, one morning in the very small grey hours when dawn is creeping towards the horizon (so really damn early) I woke up to see an imposing cat shaped shadow lurking over me, just watching me sleep. Creepy! 2) Cats are capable of amazing physical feats. Nowhere is this more clear in than in the dancing in the show. This show does seem a bit like a long dance recital, but the dancing covers a mix of everything from ballet to tumbling and everything in between. The best part about the dancing in show, besides being very good, is how it is used to help describe the cats through their physicality. They prowl through the theatre, slink around and pop up where you least expect them, and occasionally do cartwheels and advanced acrobatic routines. This happens all the time to me – my feet are attacked by a (still practicing) stealthy ninja cat, I come home to find I have a cat shaped decoration hanging from the top of my curtains, and sometimes, when her energy outpaces her capabilities, she is a cat who unexpectedly does some tumbling. 3) Cats love to be vocal, when it suits them and about what they want when they want it. This show has very limited dialogue and while there is a fair amount of singing, it usually the cats talking about themselves as a group of awesome felines, themselves as super wonderful individuals and how they are unique from every other cat, and about cats that they admire. I don’t know about the cats you’ve met in real life, but this seems true for me. My cat likes to meow at me randomly and sing me the song of her people, usually in the middle of the night, sometimes while performing above mentioned physical feats, and with very little regard to what I may be doing at the time. 4) Cats are assholes – they are, you know it and they don’t just know it, but they revel in it. Same goes for the cats in the show. These cats come from all walks of life, a few criminal, a few pampered, young and old mixed in together, and yet one poor old cat decides to see the world and they shun her for it. (I think this is why they shun her. This show is short on plot/logic so I had a hard time caring) What is that? They can rob people but she can’t go see the world? Stupid judgmental cats. But I think for all these reasons, they are the same reasons that people love (or hate) cats the animal and the musical. They have a wonderful sense of entitlement, they care not for what others think of them, and they do what they want with all of the panache of a Cirque Du Soleil performer. 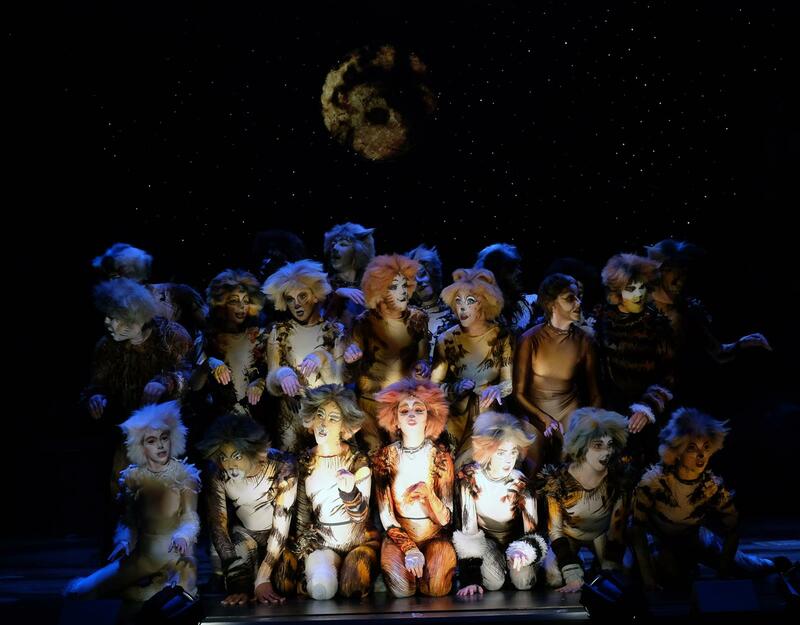 If you want a chance to see and compare for yourself check out CATS from San Diego Musical Theatre through April 6th at the North Park Theatre. Go to www.sdmt.org for more information on tickets and showtimes. 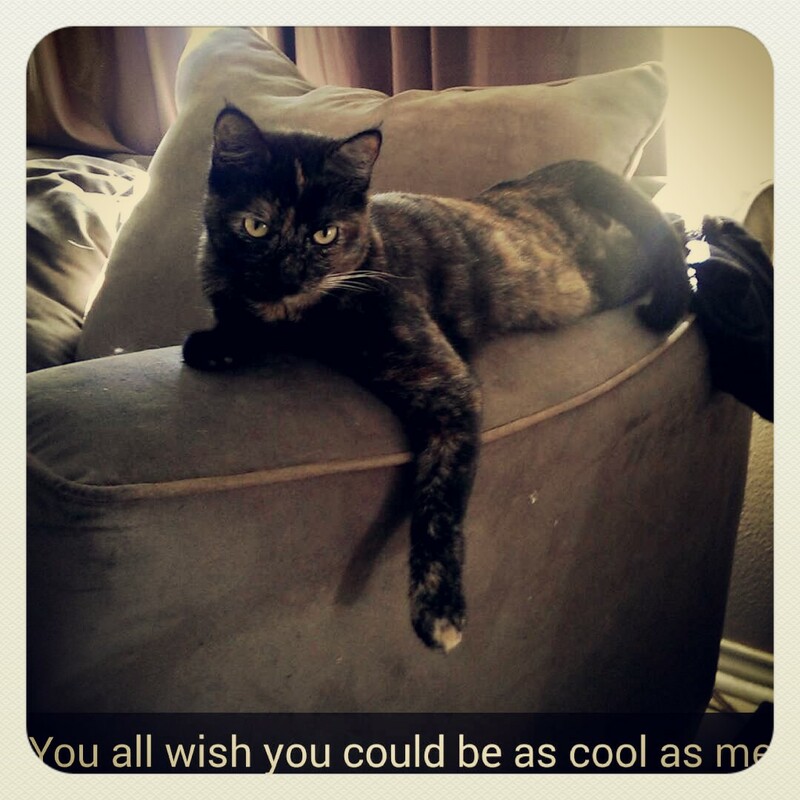 This post has been approved by Rory, the cat that currently rules my house.